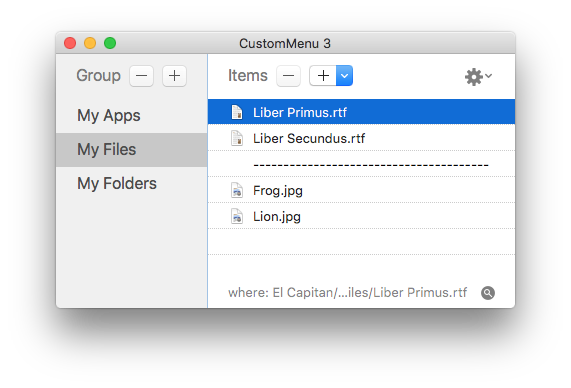 CustomMenu 3 lets you build your own global menu containing your favorite apps, files, and folders. 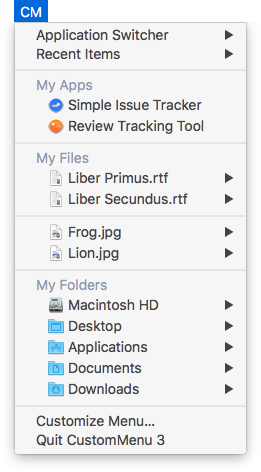 Once created, you can easily open apps and files or browse folders and access their contents from any app with your CustomMenu. 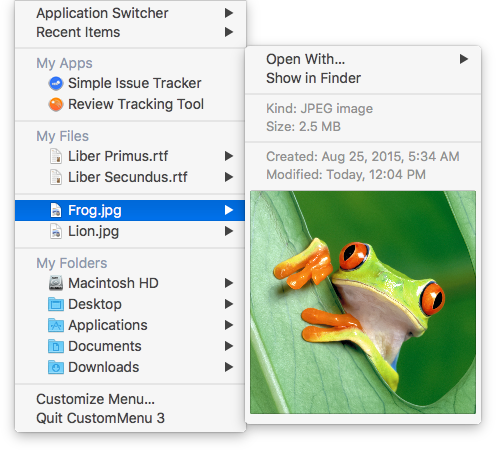 Shows you the nitty-gritty details of a file and lets you open the file with a specific app. 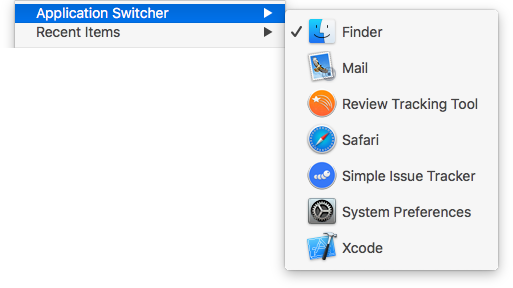 The typical macOS Dock contains running apps, often used apps, files, folders, and minimized windows. 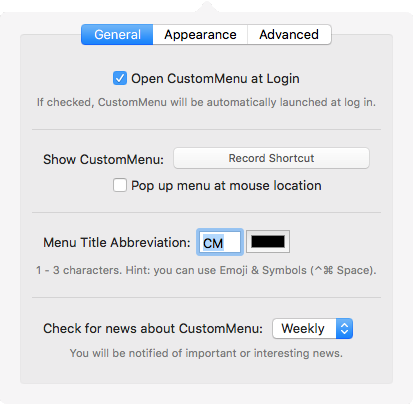 By adding items to CustomMenu instead to your Dock, you can keep your Dock clean and clear but still have your favorites instantly and systemwide accessible. Quickly navigate through folders, browse its contents and open items. Remembers the items you've recently opened with your CustomMenu. Easily switch between running apps - even in full-screen mode. Using an older OS X? Clck here, the classic CustomMenu is still around. © Copyright 2007-2019 PointWorks.de. All trademarks and copyrights held by respective owners.